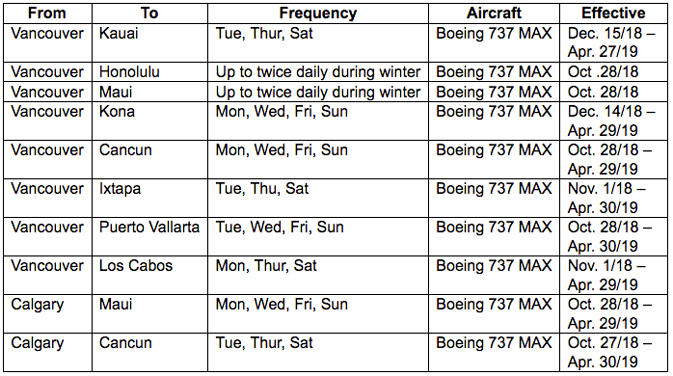 MONTREAL — Air Canada is introducing new service to Kauai with its new mainline Boeing 737 MAX-8 fleet this winter and doubling the frequency of its flights from Western Canada to Hawaii, plus launching daily, seasonal flights between Calgary and Palm Springs, and between Edmonton and Las Vegas, starting this fall. All flights from Western Canada to Honolulu, Maui and Kona, and other sun destinations will feature Air Canada’s new 737 MAX aircraft. In other news Air Canada says it will launch daily, seasonal flights between Calgary and Palm Springs, and between Edmonton and Las Vegas starting Oct. 28, 2018. All flights are now available for purchase. 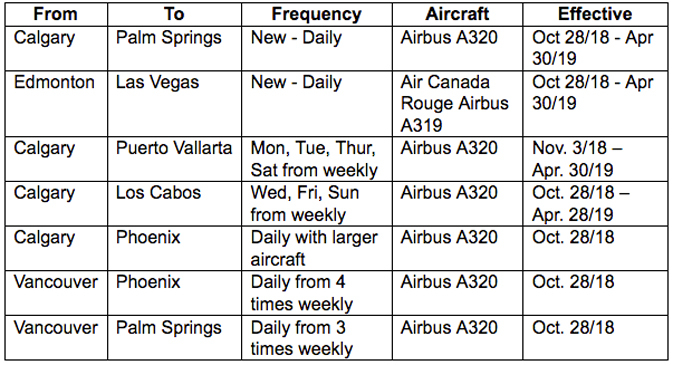 Air Canada is also increasing the frequency of its flights from Calgary to Puerto Vallarta, Los Cabos, Phoenix, and from Vancouver to Phoenix and Palm Springs. The new Calgary to Palm Springs, and Edmonton to Las Vegas flights will be onboard Air Canada A320 and Air Canada Rouge A319 aircraft respectively, both offering premium and economy cabins.